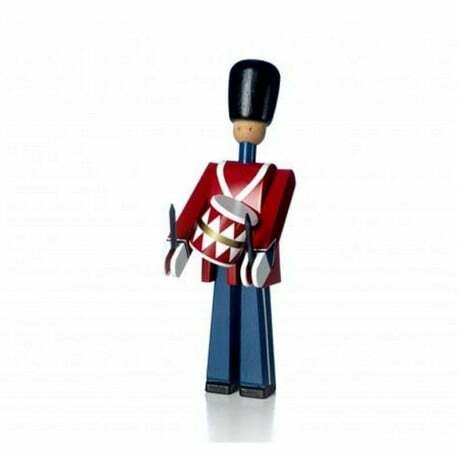 Inspired by one of Denmark's national symbols on the courtyard at Amalienborg Palace, Kay Bojesen created his hand-painted guardsmen in 1942. 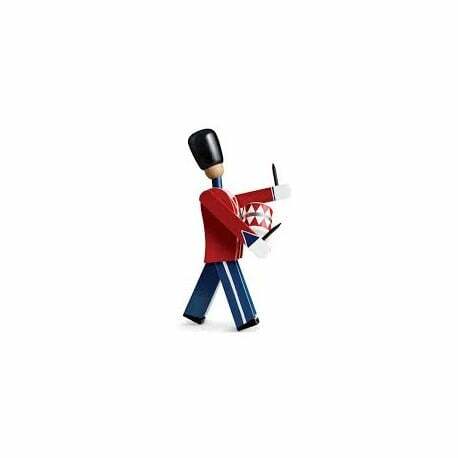 Ever since, the Drummer, Standard-bearer and Guardsman with his rifle have been proud representatives of quality Danish design. A great gift idea that will last a lifetime for both children and adults. Height: 22,5 cm.